DAVID LE/Staff photo. 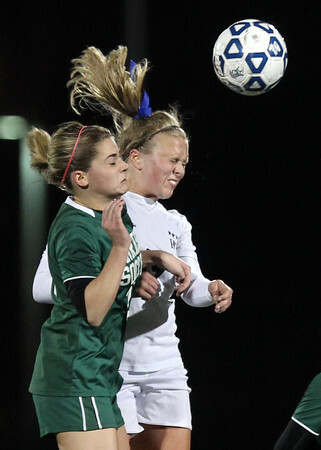 Hamilton-Wenham senior Haley Morong, right, wins a header from North Reading senior Jordan Schille, left, during the first half of play. 11/10/15.